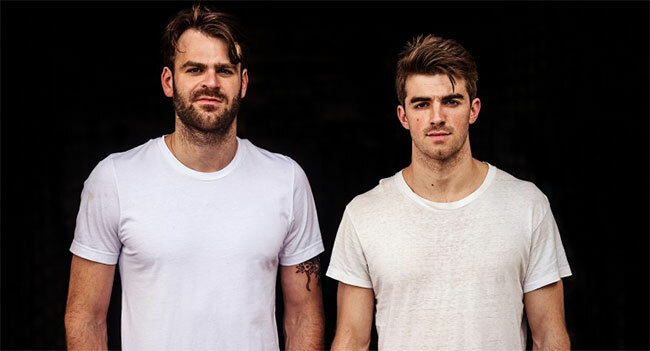 Pepsi continues to bring unforgettable musical experiences to fans, this time teaming up with renowned artist/producer duo The Chainsmokers. This exclusive, one-night-only performance, will take place at the Hollywood Palladium in Los Angeles on Tuesday, July 24th. Powered by Live Nation, the event will feature several special guest performances, who will join the Grammy award winning duo as they perform some of their biggest hits along with re-imagined versions of songs from Pepsi’s biggest music icons at one of the industry’s most celebrated venues. Tickets go on sale starting Wednesday, June 13th at 10 am PDT for $25 (not inclusive of fees) – available for purchase only on livenation.com. The concert will also be livestreamed via Pepsi’s Twitter page. The duo and their surprise guests will provide the ultimate fan experience as they celebrate the Pepsi Generations Summer Music campaign — a continuation of this year’s global creative campaign, Pepsi Generations, honoring the brand’s iconic role in music and pop culture spanning decades. With the help of Pepsi musicians past and present, including King of Pop Michael Jackson, Ray Charles and Britney Spears, the summer campaign will continue to excite fans with a focus on music and entertainment programming, limited-edition cans, a seasonal release of Pepsi Stuff and more. Pepsi will celebrate all summer long throughout the U.S. across the full Pepsi portfolio – Pepsi, Diet Pepsi, Pepsi Zero Sugar and Pepsi Wild Cherry. Pepsi fans have access all summer to a seasonal collection of summer-inspired Pepsi retro gear, exclusive music giveaways and prizes, including tickets and fly-aways to The Chainsmokers’ concert experience, and so much more.